This page is dedicated to sharing popular information with our website audience. Enjoy! The white tail deer population in our region is booming. This is evident by deer presence in both rural AND residential areas. As we encroach upon their habitat, it is up to the deer to learn to adapt. Much of the landscaping that surrounds our home is edible to deer, and in some cases, irresistible. It should be said, specifically during the summer months, not all plant browsing can be blamed on deer. Deer have no upper incisors, so the plants violated by deer will have a jagged edge to the eaten leaves or torn stems. 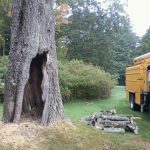 If it is a clean cut, the damage is from another invader, such as a rabbit or woodchuck. The nutritional needs of deer change seasonally, and deer feed most actively in early spring and early fall. Forbs and grasses remain their primary source of nutrition, but cultivated crops can also be a target. During the harsh reality of winter, deer often will consume plants they wouldn’t otherwise consider, as they struggle to survive through the harshest season. 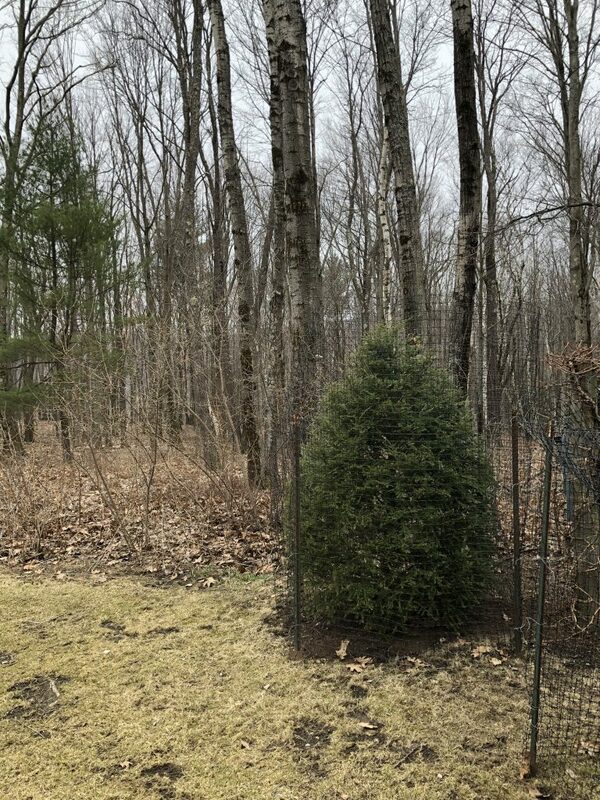 During this season, specifically February and March, it is common to see evergreens stripped of their green from the ground to as far high as a deer can reach (browse line). This is usually an indicator that they have exhausted their browse, along with other food sources (acorns and grass buried beneath the snow), and are now forced to eat least desirable items due to hunger and starvation. 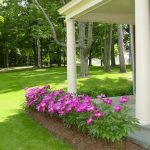 There are many approaches to protecting your landscape investment…by being proactive versus reactive. It makes the most sense, when starting with a fresh landscape project, to plant ONLY deer resistant plants. This will significantly reduce the chance of deer damage, and protect your financial and labor investment. Plants deer avoid are often those those that have a strong aroma, fuzzy/prickly texture, or a bitter alkaloid taste; and they always avoid poisonous plants. However, when confronted by starvation, deer will revisit plants that may not have appealed to them in the past, except for the toxic varieties. If you choose toxic plantings to discourage deer, you must consider the danger of these plants to your family members and pets. Is it your dream to have a spring full of flowering bulbs? Get rid of the tulips (or the deer will do this for you), and replace with an army of daffodils! Do you want a privacy hedge? Don’t waste your money on Yew, only to see it marred with a browse line. Plant Boxwood! *Denotes that plant may be susceptible for food during harsh winters with high deep populations approaching starvation. **Denotes that these plants have proven particularly resistant. Deer Defeat® is an application that can be used to protect your plantings all year round. 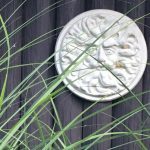 Not only does it act as a deterrent, it also has an anti-desiccation property which is essential for evergreens through the dry winter months. 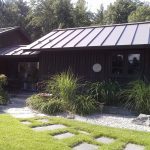 This application is offered as a service through Countryside Landscape & Design Inc. Heavily scented soaps that have tallow as a component (animal-origin fatty acids) work to discourage deer. Avoid soaps with edible oils as the main ingredient. Soap will last longer if left in its wrapper and will still be noticed by deer, with their acute sense of smell. Another method, is taking soap out of its wrapper and hanging in an old nylon stocking which is then hung 3-6′ high. The scent will be more intense. Spacing is about 3′ for optimum efficiency. Cayenne Pepper Mix: 1 gallon water + 4-5 tablespoons cayenne pepper + 1 tablespoon vegetable oil. Transfer mixture into a spray bottle, shake and apply to foliage. Reapply as needed. Tabasco Sauce Mix: 1 gallon water + 2 tablespoons Tabasco sauce + 1 tablespoon liquid dish soap. Transfer mixture into a spray bottle, shake and apply to foliage. Reapply as needed. Rotten Egg Mixture: (do not use on plants meant for consumption) In 2 cups of water, add 4 garlic cloves, 2 eggs, and 2 tbsp of Tabasco. Blend in a mixer and allow to rest in a covered container several days prior to application. Install a barrier, such as deer fencing. Countryside Landscape & Design offers a few options for deer-proofing with fencing. Wrapped deer netting: wraps around your shrubbery giving it some protection, although deer have been known to push on it to get to the edible parts that can poke through. 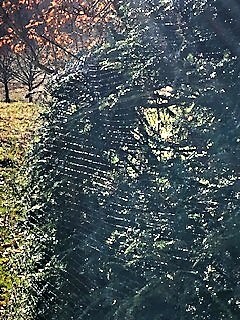 Black poly netting mounted on 7′ metal stakes: provides a buffer of space between the shrub and the deer are not able to access the planting by pushing on it. These mesh-like fencing options virtually blend into your landscaping. 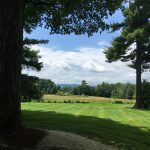 Burlap: is an option for smaller shrubbery (burlap comes in 4′ or 6′ widths), and will also protect broad-leaf evergreens from windburn, but will not blend into the landscape. The other negative with burlap is that it will hold snow and can potentially crush what it is protecting, while the mesh options allow snow to pass through. When your goal is to deter deer, you are best served if you employ several tactics, and rotate/alternate these tactics throughout the season. Deer are afraid of new things, so utilizing this rotation does not allow them to adapt. If you are one who enjoys seeing nature in your back yard, there are many ways to offer habitat to these beautiful creatures. Many states prohibit or discourage actively feeding or baiting deer, and for good reason, as it can cause them harm or even death when consuming foods they are not acclimated to. The best way to encourage deer to visit you, is to recreate their habitat. 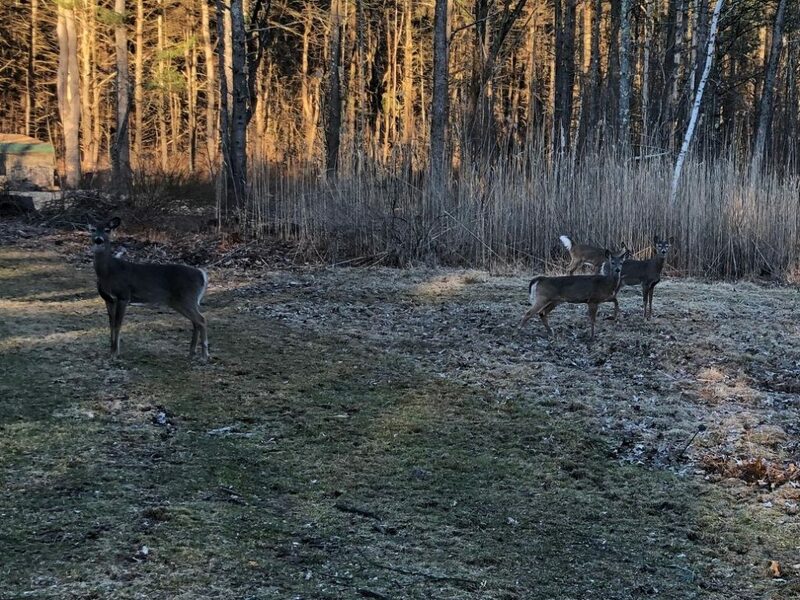 Start by planting a deer garden, or food plot, and choose plants that deer seek out, such as red clover, chicory and/or orchard grass. Along the perimeter of your deer garden is a good location for apple and oak trees. The apples and acorns provide another very desirable and natural food source for deer populations. 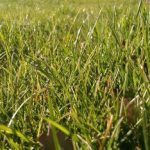 If your property is surrounded by forest, softening the transition from the forested area to your lawn area, by allowing grasses to grow tall along the wood-line. This provides a sense of security for deer. Countryside Landscape & Design Inc offers a variety of home services that are tailored to your individual needs. If you have a security service (i.e. : ADT, Berkshire Communicators), Countryside Landscape & Design can be on your call list as a responder, and check your home for alarm reports. If you plan to be away for a prolonged period of time, or are a second home owner, this can be a very valuable service. The service can be to check home mechanical services to ensure heating/cooling is working, especially during critical times of extreme weather. Or it can be to bring in your mail and water plants while you are away on vacation. Countryside tailors to suit your needs. 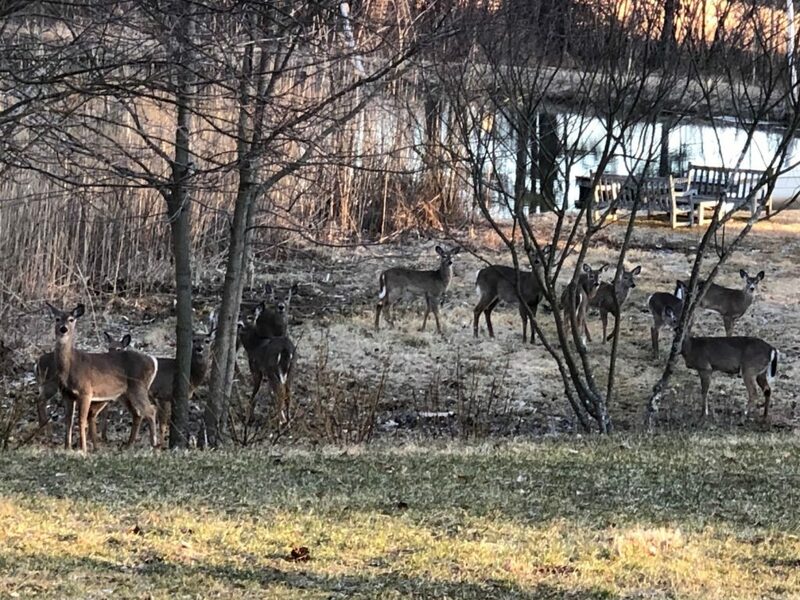 Do you have plants that suffer from the pervasive nibbling of deer during the winter or summer months? Your property may benefit from deer fencing, burlap, or deer deterrent spray (Deer Defeat®). Countryside can install/remove fencing or be scheduled to spray susceptible plantings to protect your landscaping. Spring and fall are the messiest seasons. Weather and the change of seasons can leave your property in a messy state. We offer this service to get you ready for the summer season, or prepare for the winter season. We can build custom shrub shelters to suit your needs. We can also install and remove the shelters with the change of the seasons. Air conditioners installed/removed from windows; screen/storm windows installed for appropriate season. 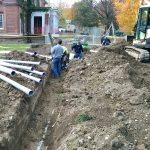 Countryside Landscape & Design is not just limited to landscaping projects, we also provide excavation and drainage services. 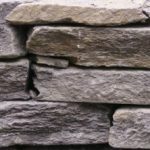 Excavation has many important applications in the landscape industry. Site preparation is chief among those applications. Having an in-house excavation crew ensures quality control and the desired outcome of landscape projects that involve excavation work. Countryside Landscape & Design is also able to facilitate in projects that are not strictly excavation, such as: installation of new driveways or regrading of existing; preparation for paver work; drainage and trench projects; sump pump installation and water diversion/proofing; foundation water proofing; sewer and electric line installation. We are certified septic installers. Damminix Tick Tubes® are specifically designed to target the mice population, and uses a minimal amount of pesticide to treat a large area. These tick tubes rely on the natural nesting instincts of mice, and deliver the tick controlling permethrin directly to this host animal. Damminix Tick Tubes® are biodegradable, cardboard tubes filled with permethrin treated cotton balls. Tubes are placed at perimeter of property where mice and other rodents inhabit or travel (i.e. ; property boundaries, in brush or woods, planting beds around buildings, landscaped planting beds, stone walls, under decks and porches). Mice collect the cotton to build their nests, in turn, Deer ticks that feed on the mice in the spring and fall are exposed to permethrin and killed. Tube lifetime is 90 days. Tick FreeTM, is an organic insect control made from natural ingredients. 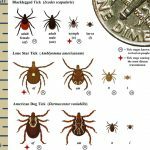 Not only does it work for ticks, but also: gnats, fleas, ants, fire ants, spiders, chinch bugs, stink bugs and most exoskeleton insects. This application is used to control the mosquito population, which are carriers of West Nile Virus, Eastern Equine Encephalitis, St. Louis Encephalitis and Dog Heartworm. West Nile Virus (WNV) cycles between birds and mosquitoes and then transmitted to mammals (including horses) and man by infected mosquitoes. Symptoms are characterized as flu-like; fever, headache, tiredness, aches or a rash. Symptoms can last a few days or several weeks, with some patients reporting them lasting over 30 days. Eastern Equine Encephalitis (EEE) is spread to horses and humans by infected mosquitoes, and is among the most serious of a group of mosquito-borne arboviruses that can affect the central nervous system, and cause severe complications, even death. Symptoms may range from none at all to a mild flu-like illness with fever, headache, and sore throat. More serious infections of the central nervous system lead to a sudden fever and severe headache followed quickly by seizures and coma. About half of these patients die from the disease. Survivors may suffer from permanent brain damage. St. Louis Encephalitis (SLE) is transmitted by infected mosquitoes from birds to humans and other mammals. Symptoms are similar to those in EEE. Dog Heartworm can be a life-threatening disease for canines and is caused by a roundworm transmitted via a mosquito. Heartworm is dependent on both the mammal and mosquito to fulfill its life cycle. The young worms (microfilaria) circulate in the blood stream of infected dogs. Mosquitoes become infected when they feed on the infected dog, and the worm continues its life cycle in the body of the mosquito. It eventually moves to the mouthpart of the mosquito as an infective larvae. When the mosquito feeds, it infects the victim it bites. Humans are an unsuitable host, and the worms usually die. Dogs cannot eliminate the worms, but the disease can be controlled through heartworm preventative measures. Controls mosquitoes in water bodies at their larval stage of development. It is safe for pets and kills mosquitoes by the thousands.